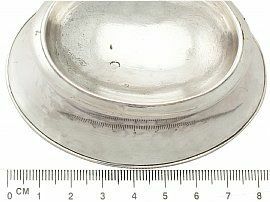 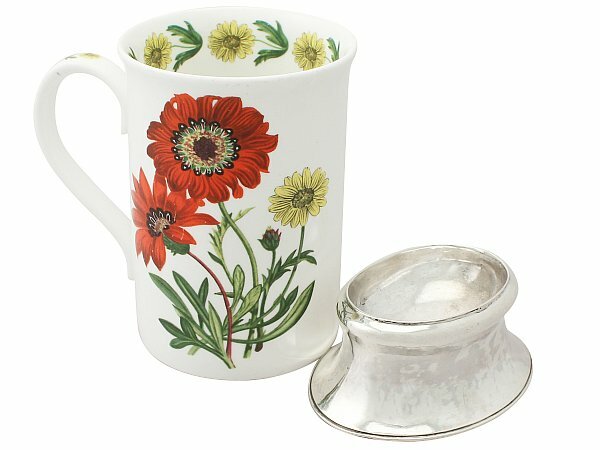 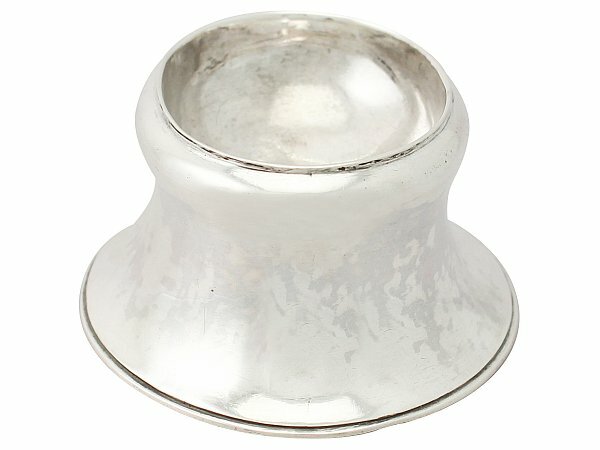 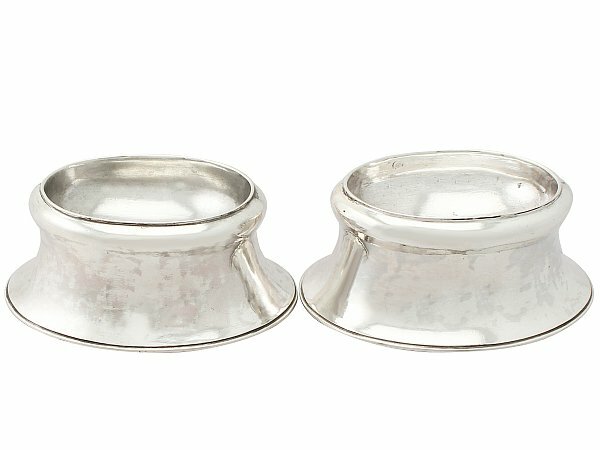 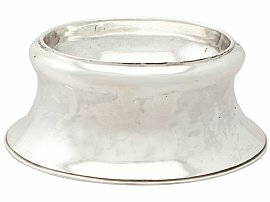 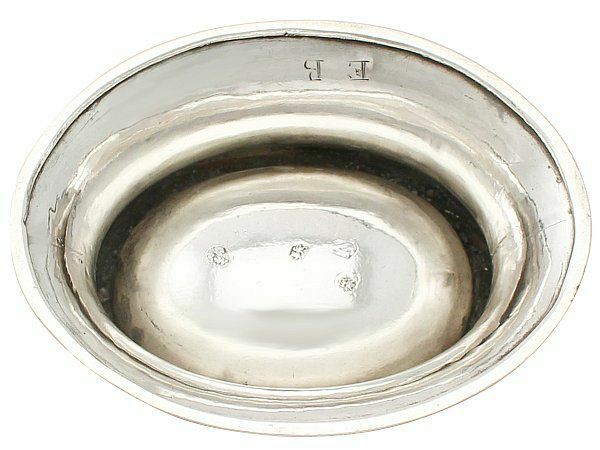 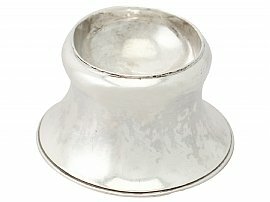 These antique George II sterling silver trencher salts have a plain oval waisted form. The surface of each salt is plain and unembellished, with an applied moulded border to the upper and lower rims. 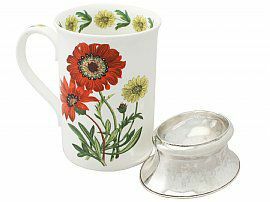 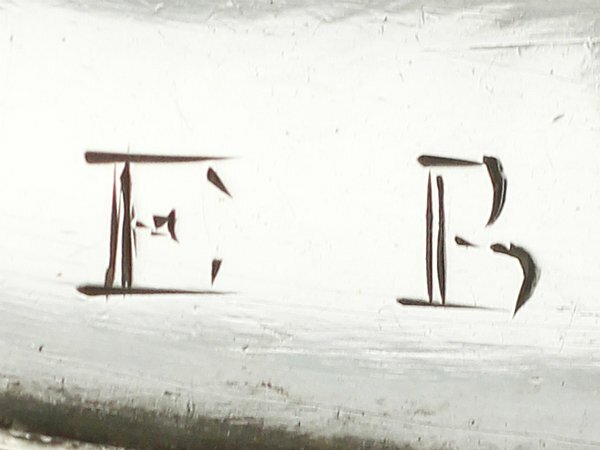 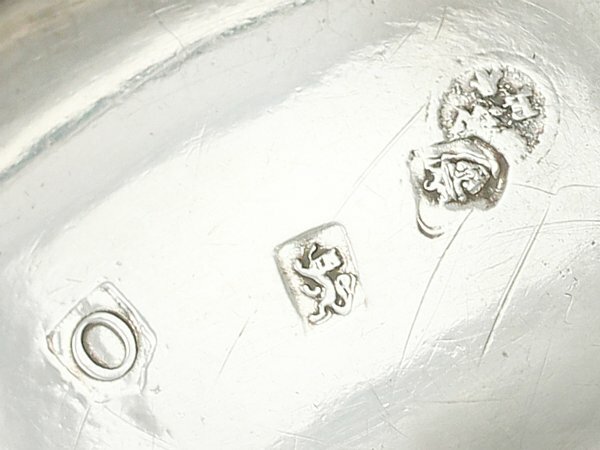 Both salts are ornamented with the engraved initials 'EB' to the underside, in addition to the full hallmarks. 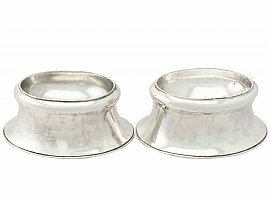 These antique trencher salts are a very good gauge of silver, very good quality and excellent condition, in keeping with their age and type. 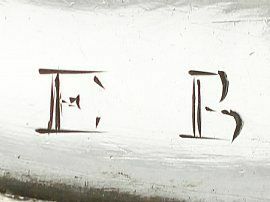 There are some natural fire marks to the surface of each salt; this does not detract from the aesthetic appearance of the items. 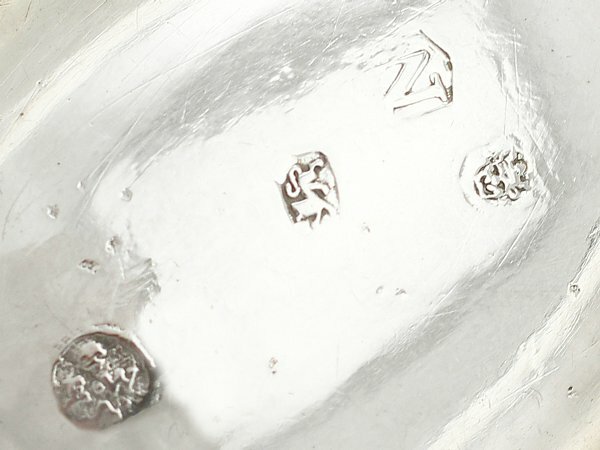 Full hallmarks struck to the underside of each salt are very clear, in keeping with age.